I have been nominated for the first time for the Liebster Blog Award x2: Lilica Blake at http://lilicasplace.wordpress.com/2013/06/22/and-the-winner-is/ and Katherine Vucicevic at http://sci-fi-novel-otura.blogspot.ca/2013/06/my-leibster-blog-award.html Thank you both. It is a pleasure to participate. Your questions have both been completed below. Please find yours to see the answers. 2. 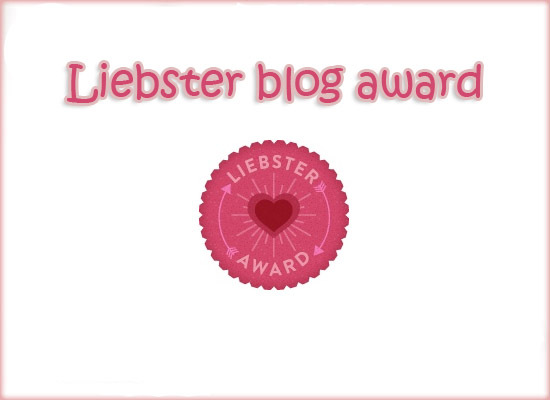 Nominate 11 other bloggers for the Liebster Award. 4. Ask 11 questions that the bloggers must answer upon accepting the Liebster Award. 5. Answer the 11 questions that you were asked when you were nominated. 6. Link back to the person who nominated you. I love hearing a vocalist sing operatically with the rhythm of the piano. I can play guitar, amateur. I self-taught myself to read music and studied my daughter when she came home from piano lessens so I could learn to play. I’ve been to Bangor, Main when there was a blizzard. I’ve been to the place where they produced Anne of Green Gables. I was afraid of the dark when I was young. I like the smell of a candle burning. If I had my way I’d go back to using a coal oil lamp. I like learning about edible plants native to our country. I am a mother to three girls. What is your favorite animal and why; mine is a lion because it is fierce? If you had a choice to live anywhere in the world, what place would you choose? Do you have a favorite childhood nursery rhyme? Are you a country bumpkin or a city slicker? If you could rewrite a chapter in your life would you? Do you have a fear of anything? Do you have a favorite place you go for a latte, coffee or tea? I cannot wait to hear from you and read your answers. I hope you all take part in this fun activity. Katherine I hope you enjoy the answers! Lilica I hope you enjoy the answers. This entry was posted in A Post of the Best Posts and tagged blogging, Liebster Award, sharing, welcoming. Bookmark the permalink. congrats! i love loretta lynn too:) now i must check out your nominees! I’d like to point out that you misspelled my last name, though. No biggie; you can fix it! That’s fine and yes I guess I did. I thought I changed that but I guess I didn’t click update. Thanks. I’ll correct the spelling. Thank you for correcting my name. I appreciate it! Have you written an ebook yet? Two books out that are also available as ebooks under Amazon and likely other places such as where I published through.